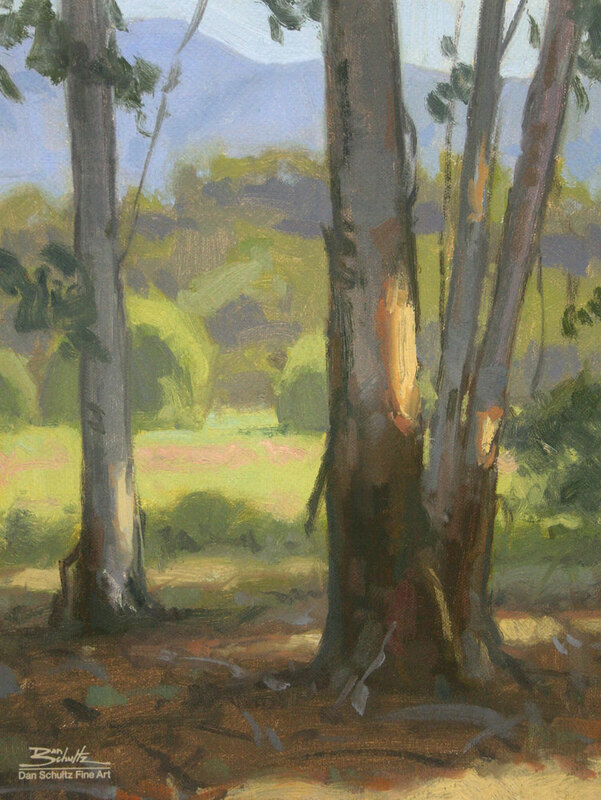 This is a giclee print of Through the Eucalyptus, the painting I create from start-to-finish in my Steps for Successful Plein Air Painting DVD. 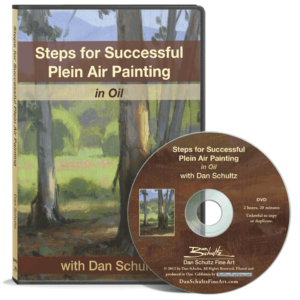 My hope is that the combination of the giclee and the DVD will be an even more helpful resource to those of you who want to improve your outdoor painting skills. 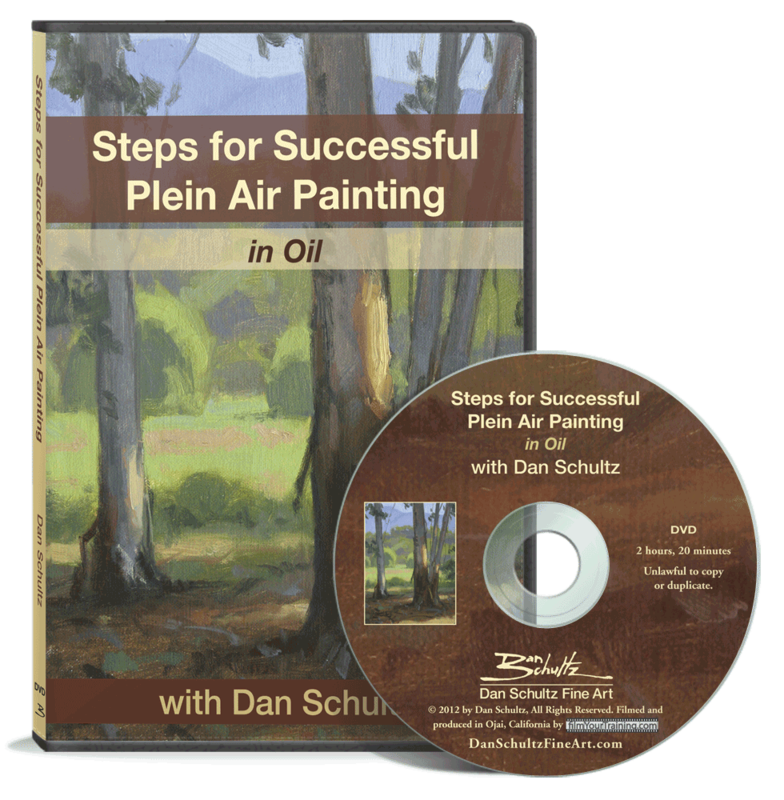 With the giclee in hand, you can refer to an actual-size reproduction of the painting while you follow along with the DVD. “Giclee” (pronounced zhee-clay) is a French word meaning “to spray on.” It’s basically an ink-jet method of art reproduction. The printing company that makes our giclees scans the original painting, then uses an eight-color ink-jet process with the highest quality archival materials to match the colors of the original. Our giclees feature color stability certified for 100+ years.